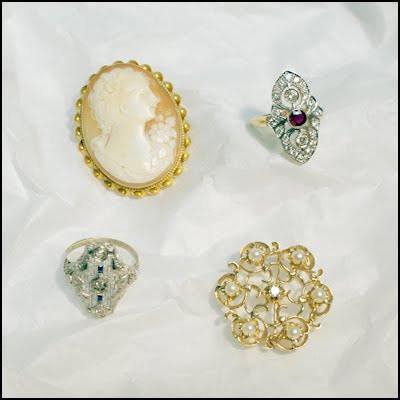 Come in and peruse our enormous collection of estate and vintage jewelry. We have pieces that range from the 1700's to the art deco and nouveau periods. Our collection includes cameos and pins, dinner rings, lavaliers, bracelets, and antique pocket watches. We continually go to estate sales and auctions in order to increase our selection and variety for our customers.